Taj Palace, New Delhi is set among 6 acres of manicured grounds, offering guests a calm oasis in the heart of New Delhi. It's a 5-minute taxi ride to the tomb of Safdarjung, and 15 minutes to Central Secretariat and Delhi Gate. The hotel restaurant offers live music nightly and an international menu, with chefs serving a range of cuisines from Chinese to Mediterranean. Guests can book indulgent treatments based on traditional Ayurvedic herbal therapies at Body Essence Spa, play golf or tennis, and swim in the outdoor pool. Guestrooms and suites feature opulent, Mughal-inspired textiles, wood, and leather furniture. Windows frame views of the city skyline, the lush hotel grounds, or Central Ridge forest reserve. There are LCD TVs and DVD players for entertainment, and wired Internet to help guests stay connected. In addition to an outdoor pool, Taj Palace, New Delhi provides a health club, a spa tub, and a sauna. The hotel offers a coffee shop/café. A bar/lounge is on site where guests can unwind with a drink. Wireless Internet access is free. Need help to find out where to go? There are concierge services available. Do a bit of clean up with the laundry facilities. Multiple meeting rooms and conference space spanning 50,000 sq feet (4645 sq meters) are available onsite to help host your next business function. This 5-star property offers access to a business center. This luxury hotel also offers a nightclub, a steam room, and spa services. Enjoy the fresh air with the garden. For a surcharge, a roundtrip airport shuttle (available on request) is offered to guests. Onsite self-parking and valet parking are complimentary. Orient Express - This fine-dining restaurant serves dinner only. Guests can enjoy drinks at the bar. Masala Art - This Indian restaurant serves lunch and dinner. Guests can enjoy drinks at the bar. Blue Ginger - Overlooking the pool, this Vietnamese, fine-dining restaurant serves lunch and dinner. Guests can enjoy drinks at the bar. Rollaway/extra beds are available for INR 2500.0 per night. 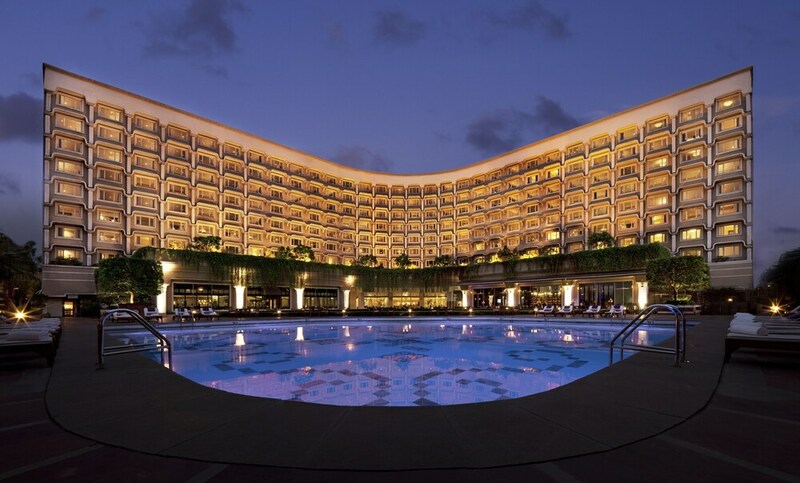 Taj Palace, New Delhi is listed in the 2012 Condé Nast Traveler Top 100 List. Book a stay in any Taj Club room category and receive club lounge access (located on the 7th and 8th floor), butler service, cocktail hour, and 1-way airport transfer.